Here is a picture of the Monarch head after the shot. I would like to note that the chips aren’t a flaw in my opinion. The heads have a 58 Rockwell hardness and should break before bending. 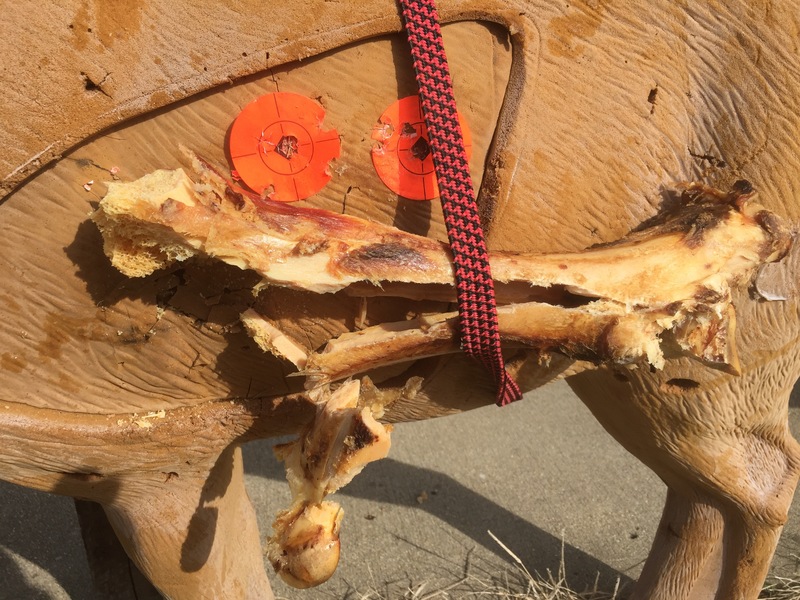 This was not a green bone and is a lot harder. I tried to locate fresh bones but I could not find any. And here it is after I re sharpened it. As you can see that is one tough head. The shaft did not survive but I don’t think any shaft would survive an impact like that. However it did maintain enough integrity to make a complete pass through. 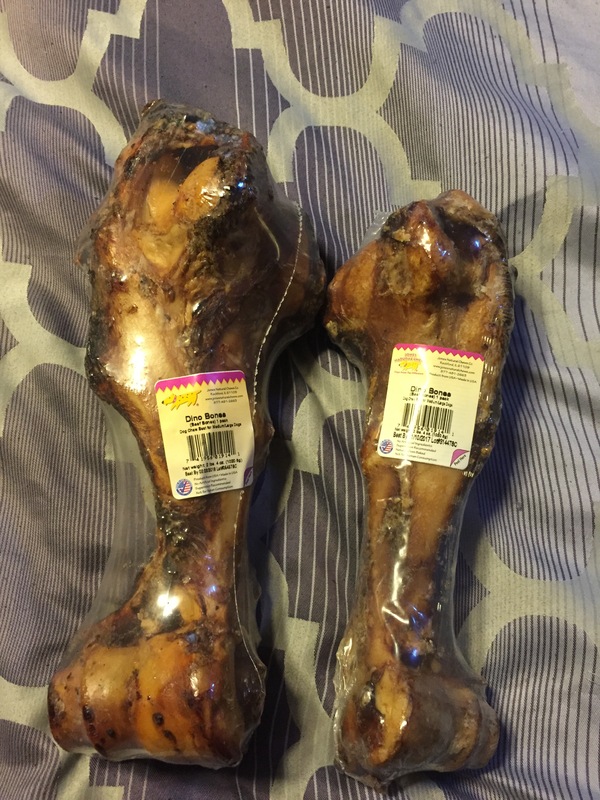 These can be purchased at tractor supply if anyone wants to try the femur bone challenge. 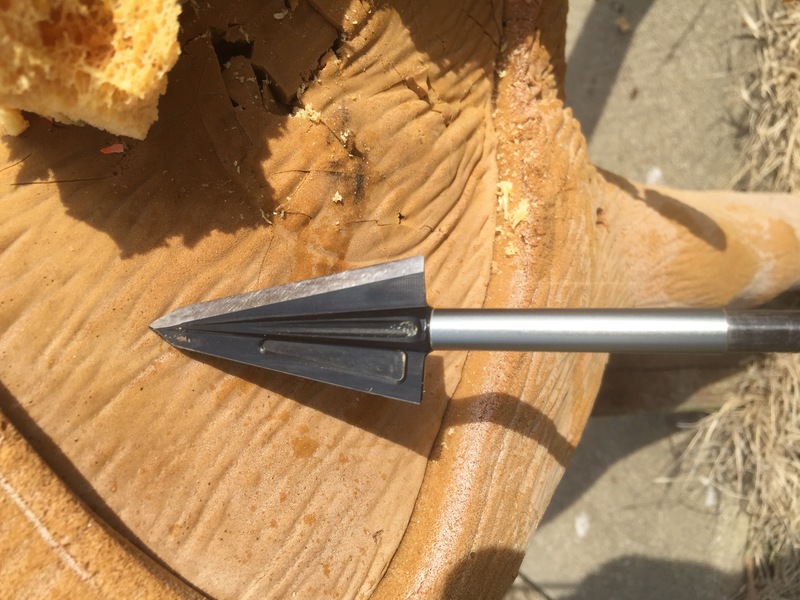 Here is a 360 grain arrow with a rage hypodermic. Everything on it was bent or broken. Head was laying on the ground in front of target. Complete failure. 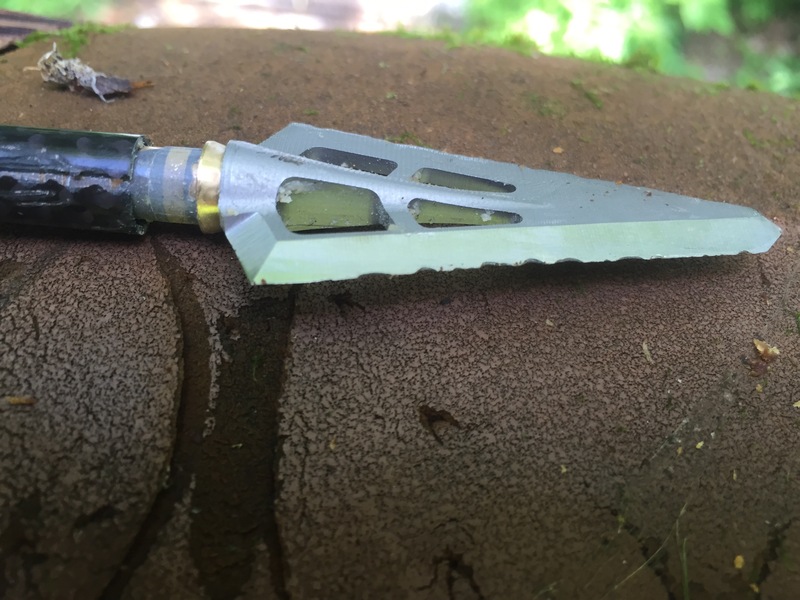 Here is the arrow build Perfect arrow. Video will be posted soon. 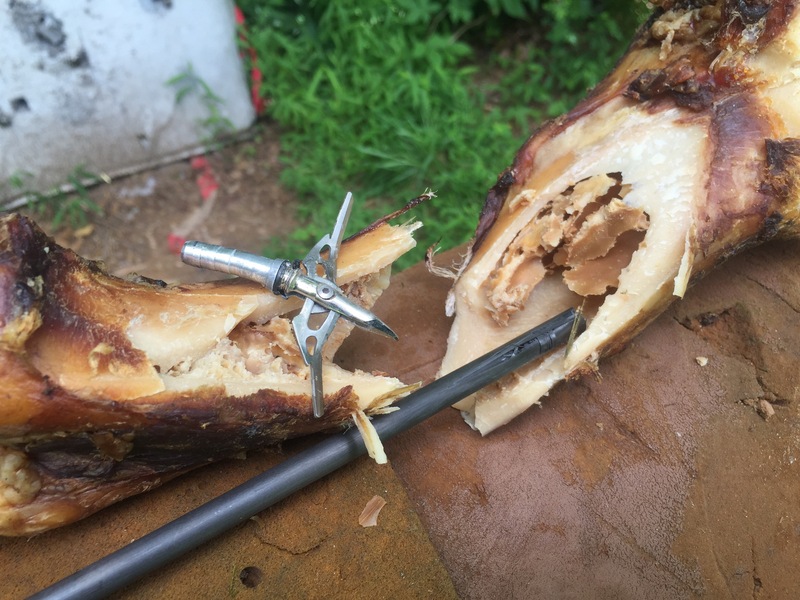 This entry was posted in Hunting and tagged 650 challenge, Alaska Bowhunting Supply, archery, Broadheads, femur bone challenge, GrizzlyStik, monarch, single bevel, UFOC 250. Bookmark the permalink. Those are great arrows. I would love to have one of those. 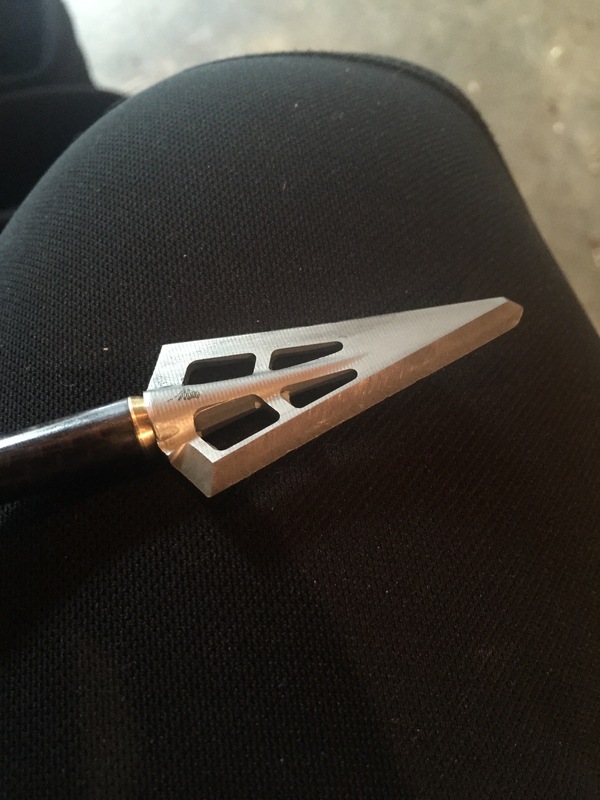 I have a couple of arrows I got from a local store and it wasn’t good quality. I just ordered one online and hope that it will arrive soon so I can use it with my ghillie suit in Alaska hunting trip next month.